Principal Consultant - David Gardiner CFPIM Dip BIA BSc. Dave's practical experience includes more than 50 years as an operations and supply chain management consultant for IBM and Gardiner Consulting Group. Project work has been primarily in New Zealand, but with assignments to Australia, Fiji, Singapore, Malaysia, Hong Kong, Japan, Taiwan, USA, Canada, France and Switzerland. During the past 25 years he has taught Operations Management and Supply Chain Management on the University of Auckland Graduate School of Management MBA programme, the Postgraduate Diploma of Business and a variety of undergraduate programmes. He currently teaches Operations Management and Logistics at Massey University MBA. Formal qualifications include a Bachelor of Science degree from the University of Canterbury, and a post-graduate Diploma in Business and Industrial Administration (Dip BIA) from the University of Auckland. He is recognised by ASCM (The Association for Supply Chain Management) as Certified at the Fellow level in Production and Inventory Management (CFPIM). 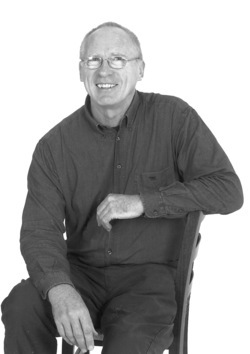 He is a founder member and past National President of NZPICS (affiliated to ASCM). Once we understand your requirements, we will work closely with the people in your organisation to set up the most effective strategy for any consulting project required. Consultants will vary depending on the scope of each project. It is very important that your organisation is comfortable with all the personnel involved, and we work very hard to pick our consultants accordingly. Our business manager will work with you before, during and after the project to ensure that any questions or situations are dealt with immediately. He/ She will be your first point of contact outside of the project personnel.